Lexington Law is a trusted credit repair company to help you get your finances back on track. They will dispute negative items on your credit history and provide you with personal financial information to get your credit back on track. This is beneficial because disputed items that are removed from the bureau and not the creditor can come back and reappear on your credit report. There are many credit repair services available to choose from. However, Lexington Law offers several key features that set them apart from the competition. Examples include identity theft monitoring and monthly credit report updates. You can find cheaper companies out there to go with, but Lexington Law has competitive pricing for the services that they provide. Here is how Lexington Law can help you fix your credit. Lexington Law is a credit repair service that challenges negative items on your credit report for you. Although you can challenge this information yourself, it helps to have a professional company on your side. According to their website, Lexington Law is a number one ranked credit repair service who had over 10,000,000 removals in 2017 alone. They claim that they have over 500,000 active clients and operate with a team of skilled, certified paralegals and lawyers. The firm states that they help clients understand their consumer protection laws and leverage those rights to retain a fair and accurate credit report. They have been in business for over 27 years and challenge everything from bankruptcies to tax liens and charge-offs. In addition to taking action against credit bureaus, Lexington Law will go after your creditors, too. They offer free consultations that include a free summary of your credit report and score. When you sign up with Lexington Law, you’ll receive personalized credit repair advice from their professional team of lawyers. 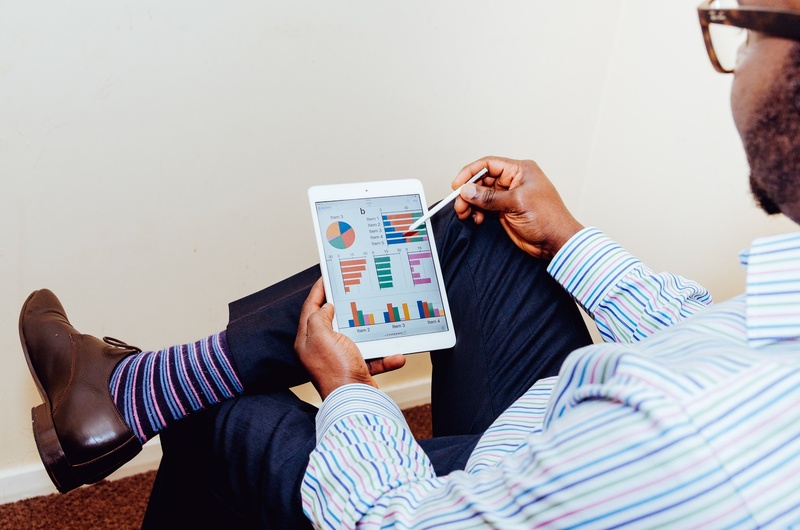 In addition to working to remove negative and inaccurate items on your credit report, they will educate you on how credit works and what you need to do in the future to keep your credit score high. You can reach your team of paralegals by phone, email, or chat. 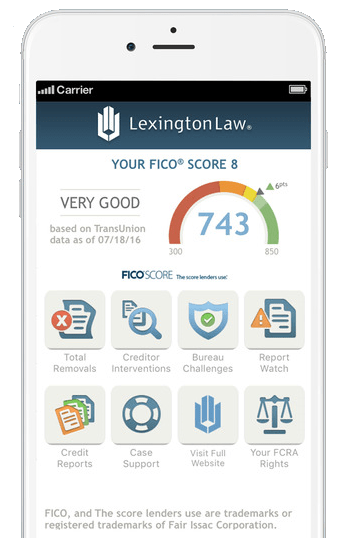 Each time a negative item is found on your credit report, Lexington Law will send a letter of dispute to credit bureaus and creditors. If Lexington Law cannot verify or remove an item from your credit report, then they will leverage your right to accurate credit reporting. They also provide you with an updated monthly credit report, act to protect you against credit fraud, and help you understand the five factors that affect your credit and what you can do to improve your credit score in the future should you choose to cancel your services. The first is case intake. When you sign up with Lexington Law, you will be contacted by one of the team’s members. They will help you obtain your credit report from each of the three major credit reporting bureaus. Then, the team member will ask you specific questions about your case and each item in question to determine how they can help. Next, a team of attorneys and paralegals will be assigned to your case. These attorneys and paralegals will take legal action on your behalf. They will start by reviewing your credit reports and then take direct action against the appropriate credit bureaus and creditors. Your team will decide which strategy is best suited to help restore your credit. The third step is credit score analysis. During this step, concord premier clients will get a monthly personalized credit score analysis, which includes personalized information to help you improve your credit score. Additionally, you can also contact your team of paralegals regarding your account anytime you want to get helpful tips via phone, email or chat. The final step is to follow-up and escalation where clients will be able to draw on the company’s experience to help defend your case. During the follow-up process, you can send the company any responses you may have gotten from the creditors or credit bureaus. You can track your case anytime you want using the Lexington Law mobile app or website. At Lexington Law, you get to choose from different levels of service and pricing packages to best suit your needs. The higher tiers give you access to better financial tools, assistance with credit repair and removing negative items on your report, and monthly credit score reports. Although paying more for a higher tier might turn some customers off, it allows you to dispute more negative items each month to speed up the credit repair process. For example, if you choose a standard or premier plan, you can only dispute six items each month. But if you go with the premier plus plan, you can dispute eight items each month. It’s a good idea to go over your credit report with a member of Lexington Law’s team before choosing a plan so you know exactly how many items you should dispute each month. Then decide on a tier based on your needs. Keep in mind that while most companies charge you to pull a credit report up front, Lexington Law does this for free. At Lexington Law, you get to choose from different levels of service and pricing packages to best suit your needs. With all plans, you will be charged a one-time first week fee approximately five to 15 days after signing up with Lexington Law. Then, your monthly payment will begin 30 days after you are charged for the first week fee. Keep in mind that this date may vary depending on which state you’re in. All plans are charged on a month to month basis and you can cancel anytime. The service works similarly to a utility bill where you will be charged a final payment after canceling if services have already occurred for that month. With the Concord standard plan, you’ll be covered for the essentials of credit repair. Lexington Law will communicate with both creditors and the credit bureaus on your behalf to dispute negative items and make sure your credit report is accurate and fair. The Concord premier plan gives you everything that the standard plan offers plus more ways to address your credit problems. You will receive credit monitoring, a monthly credit score improvement analysis, and alerts when your credit report is updated. You’ll also receive access to Inquiry Assist. This is a program that allows you to make inquiries on items on your credit report that damage your credit score. Premier plus is the most extensive package you can get at Lexington Law. It includes all the features that the first two levels offer, but with additional benefits. For example, you’ll get a FICO score based on your Transunion information each month. You’ll also get identity fraud alters as well as tools to help you make better financial decisions in the future to keep your credit score high. Lexington Law offers a discount when couples sign up. If your spouse is interested in signing up at Lexington Law, then ask your advisor about a discount. Lexington Law offers a friends and family discount. It features 50 percent off your initial setup fee if you get a friend or family member to sign without 72 hours after you sign up. How Does Lexington Law Compare To Other Credit Repair Services? Lexington Law charges a bit more than other credit repair services. However, their services are more extensive. This means you’re getting more for your money when you sign up. At Lexington Law, you’ll be working with attorneys who are familiar with the Fair Debt Collections Practices Act, Fair Credit Reporting Act, and Fair Credit Billing Act. This means you’ll be protected by professionals who are trained in credit reporting and can help you make better decisions in the future. Lexington Law offers three different credit repair packages to fit your needs. Their services are designed to help you challenge negative items on your credit report to get your credit score back to a good standing position. There is no guarantee that Lexington Law can have all negative items removed from your report. However, this is standard with all credit repair services. There is also no guarantee that your credit score will improve if you work with a credit reporting agency. However, Lexington Law is a well-known company that has been around for over 27 years. They are staffed with paralegals and lawyers who are knowledgeable about how credit works and can help you get back on the right track with financial tools and advice. They make disputes with both bureaus and creditors to make sure removed items don’t make their way back onto your credit report. When compared to other companies, Lexington Law shines. It offers more protection than other plans, but you’ll need to pay higher amounts for this service. You can cancel anytime. However, like a utility bill, you will be expected to pay the existing month’s fee whenever you decide to stop using the service. It’s a good idea to take advantage of Lexington Law’s free consultation and have them pull your credit report for free to see how they can help you before making a decision.